Terrapinn organises two annual education events in Australia, at different times of the year. There are more than 250,000 staff in education and 9,000 schools. You’ll never meet everyone at just ONE event! EduTECH is the largest education event in the Southern Hemisphere. It is the only event that brings together the entire learning life-cycle under one roof (incl. K-12 schools, tertiary education, workplace learning and RTOs). EduTECH takes place at the ICC Sydney between 6 – 7 June 2019, and is made up of one large exhibition, with five parallel conferences. EduBUILD is a brand new event launched by EduTECH. 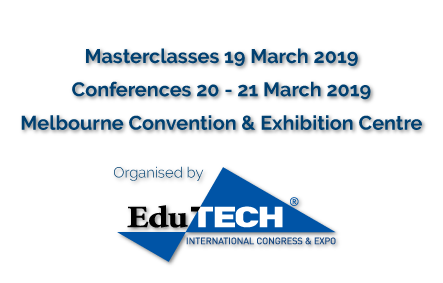 It is Australia’s largest education buildings and infrastructure conference and tradeshow for education leaders and decision-makers involved in design, construction, renovation, maintenance, operation and management of buildings for schools, colleges and universities.